I was looking through your penguin pics and noticed your comment about leuchistic penguins not breeding. 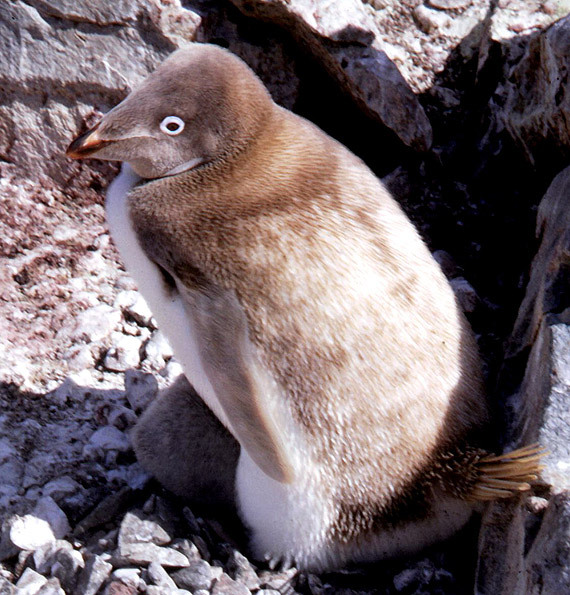 So I thought you might be interested in the attached pic of a leuchistic Adelie penguin with a chick. I took the pic in 1963 on Avian Island (off Adelaide Island). Mike Fleet.